Photovoltaic panels are formed by a set of cells that produce electricity from light.We calculate data from your electricity current for the best choice for your system. Services provided by Alpha & Omega Commerce include installation of photovoltaic and thermal equipment, Integral Solutions, Custom Packages, Advice on energy saving and pool solar pumps. Alpha & Omega was founded in 2007 with the aim of supporting the environment and implementing new technologies in the area of renewable energy. Our goal is to make energy saving solutions accessible for everybody, to avoid using contaminating energy sources and to contribute to our planet. To be an organization of top quality and excellence that contributes effectively to the development of renewable energy and the protection of the environment. To be the leading company in service, distribution and installation of solar systems, always keeping our high quality standards and staying in constant innovation. To be part of the construction of sustainable energy saving projects, offering high-tech solutions of top quality and reaching 100% customer satisfaction. To be a company specialized in integral solutions related to renewable energy. Be the best option for energy saving solutions. Save energy with our economic packages Hercules 250 and Hercules 500. The systems are expandable and easy to install. Start generating clean energy for free. When the panels are installed and a contract with the federal electricity commission (CFE) is signed, a bidirectional electricity meter is installed for free. The electricity meter is reading what you consume from CFE and what your system feeds into the power grid of the federal electricity commission. At the end of the month you only pay the balance of what you consumed and what your system provided to CFE. If the output of the photovoltaic system is higher than the consumption from the power grid of CFE, the bonus will be taken into account in future receipts where you might have a higher consumption and negative balance. The photovoltaico system does not require any batteries. The inverter and the electricity meter do all the work and communication between the PV-Panels and the power grid. You do not have to move any switches, the system works completely by itself. The approximate amount which you will continue to pay to CFE is around 3.500 pesos per year. GET YOUR SOLAR POOL PUMP NOW AND DRASTICALLY REDUCE YOUR ELECTRICITY BILL! We offer packages starting from 250 Wp up to 10.000 Wp. Let us design the package according to your requirements. Klaus and his team do a great job, I had solar panels installed, and a pressure tank replaced. Any questions I had before and after installation, they were quick to respond to, Sherryl got back to my email requests immediately. It has been a year since my installation, and Klaus has stopped by to check on the system. I highly recommend this company, they are very knowledgeable. I love my Solar Panels!! I purchased my Solar panels from Alpha & Omega after interviewing 5 different businesses and chose Klaus, the owner of Alpha & Omega because of his professionalism, quick response to my emails and calls, and engineering experience and years in the industry. He helped me identify where energy leaks were occurring, reducing the need to install more panels than necessary, installed the panels and my bills went from $18000 to less than $200 pesos. The best decisión of my life. I was so impressed with my panels that I became a sales rep for Alpha & Omega to help others escape high energy bills and feel the freedom of alternative energy. 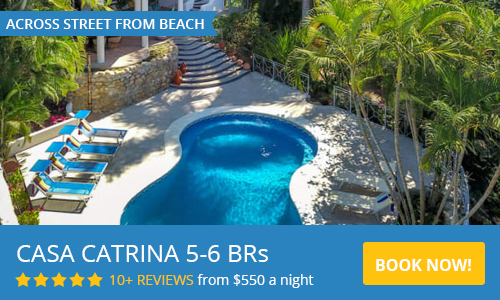 We can use our Sayulita pool all year long! I was recommended to Klaus (owner) by another Sayulita pool owner. Until Klaus installed this awesome system, we could only really use our pool from May through October. Now, we use it all year long. There we a few glitches at first but Klaus fixed them immediately. We have owned the system for three years and could not be happier. I would highly encourage anyone looking for a solar solution to give Klaus a call or email.